Grace hopper in 1952 | Flickr - Photo Sharing! steeleworthy, transpositions, sxates, and 5 other people added this photo to their favorites. 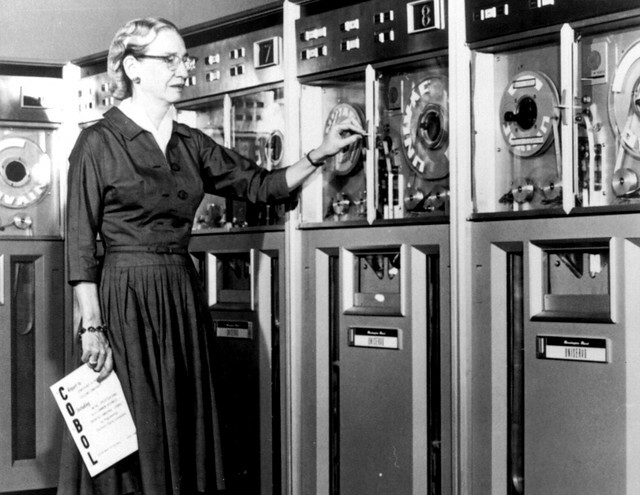 She is holding a COBOL manual and standing in front of a Univac II tape drive, neither of which existed in 1952. My guess, based on her dress and appearance, is that this was a photo op from the late 60s or early 70s.